For certain test sections, you will need a headset with working microphone and speakers. For the best experience, use USB headsets with microphones for both of these sections. Other headset and microphone options work, but may require more preparation steps by IT representatives due to being more dependent on the local configuration. Prior to testing, have an IT representative test and configure the headsets for each computer. Configuring a USB headset may be as simple as plugging it in. To check that audio streaming and recording are working, please take an Avant Technology Check. Instructions for configuring sound are available through the computer’s operating system Help facilities. On the configuration screens, make sure that the headset is selected and the volume levels are set appropriately. The Testing Coordinator should ensure that arrangements have been made for the headsets to be plugged in before starting the test, and that test takers know how to use the in-line controls on the headsets, if available. If you are receiving a low mic or low volume error message while recording in the Speaking section you may need to adjust the sound settings in your preferences. 1. 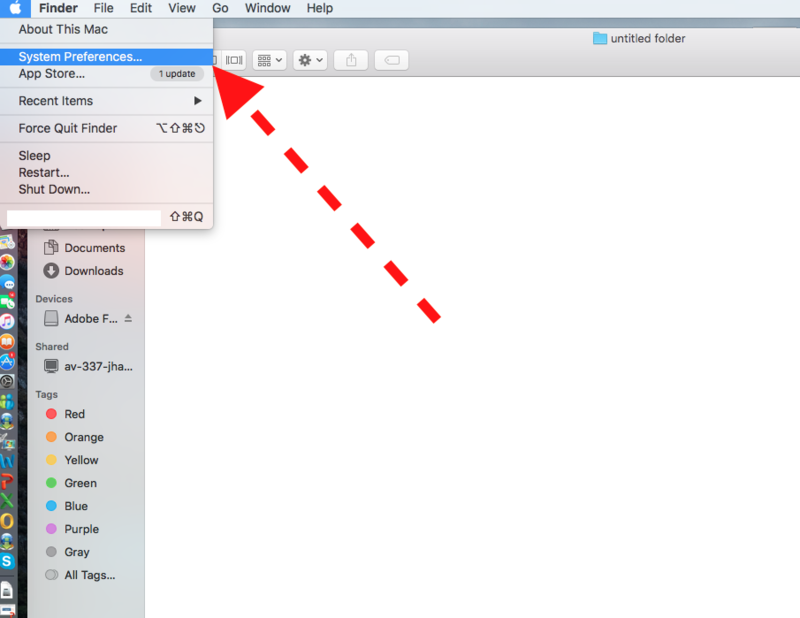 Open System Preferences by clicking the Apple menu and selecting System Preferences. 1. 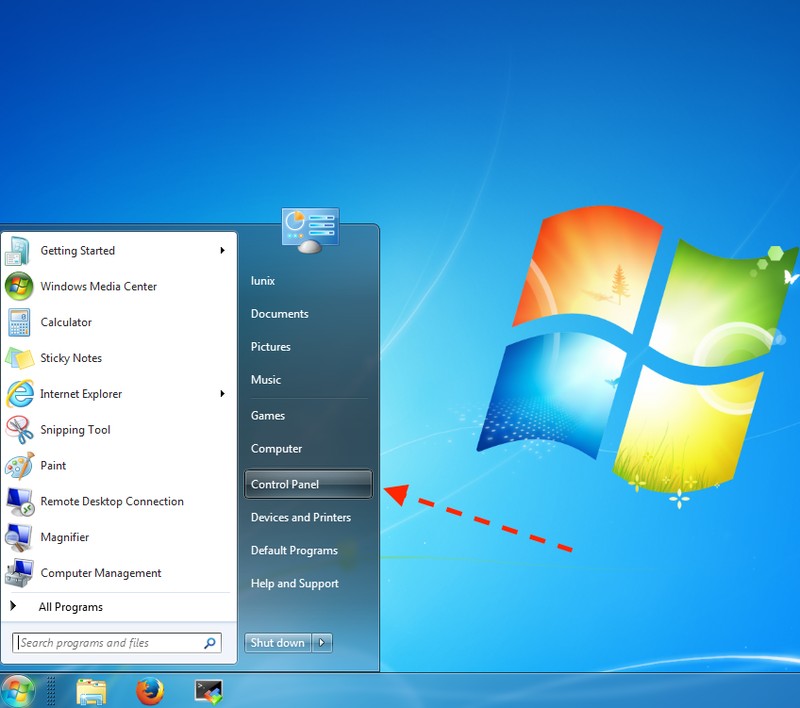 Open the Start menu by clicking it and select the Control Panel from the right pane. 2. Locate and click on the Sound preference pane. 3. 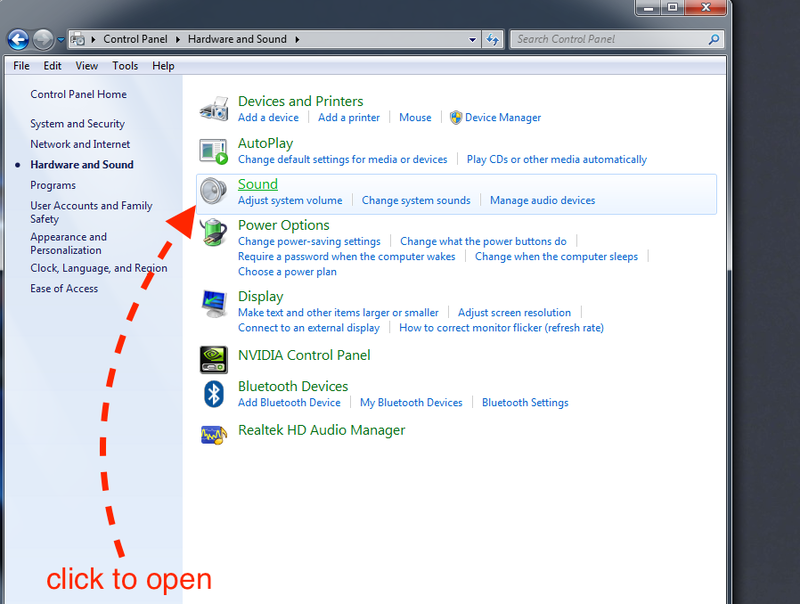 From the Hardware and Sound section, click on Sound to open the system settings for your audio devices. 4. Locate the attached headset and ensure it is the active input device (using the Internal Microphone is not recommended in a lab setting). 4. Navigate to the Recording tab of the Sound properties panel. 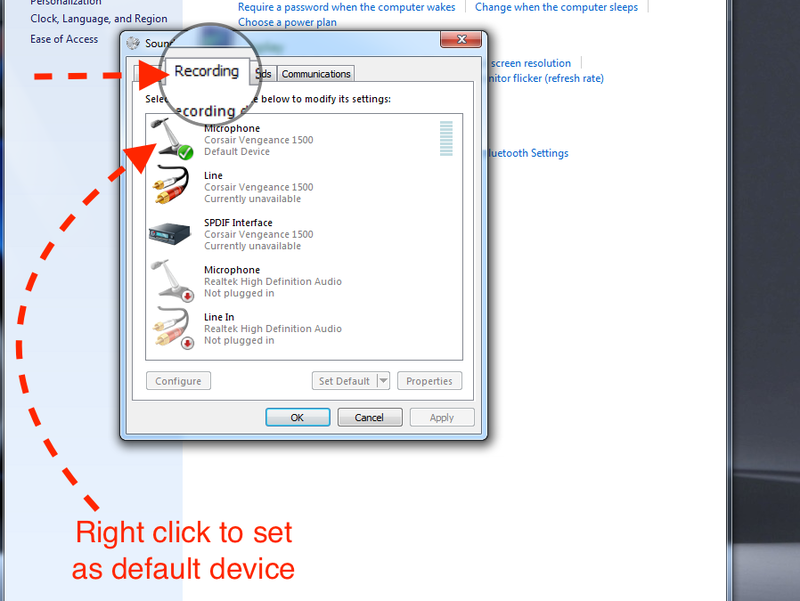 If the external microphone is not currently set as the default on the Recording tab, be sure to set it now. Right mouse click and choose “Set as Default Device”. 5. Adjust the Input volume slider until the input level graph shows movement during normal speaking with the microphone at an appropriate distance from the speaker. The microphone gain should now be set properly to allow students to record their speaking responses. Close System Preferences when done making changes. 5. 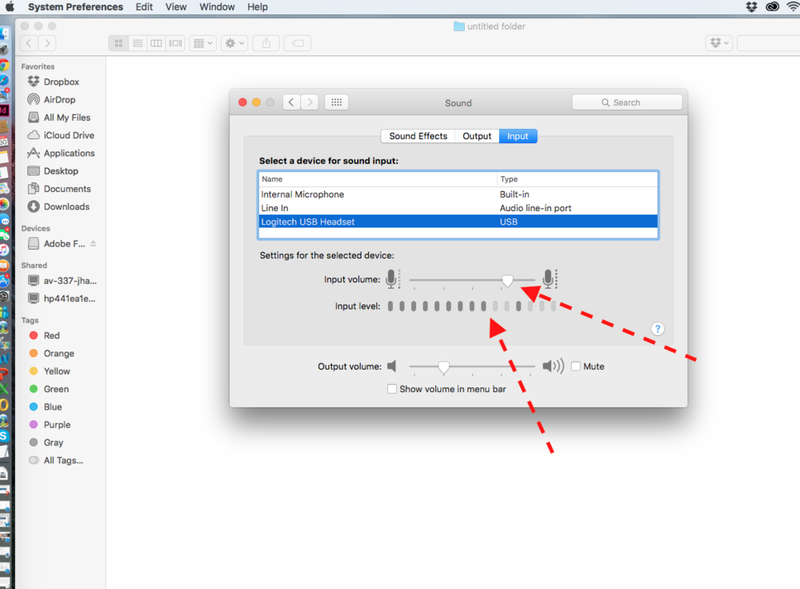 Double click on the external microphone from the list to open its settings panel. 6. 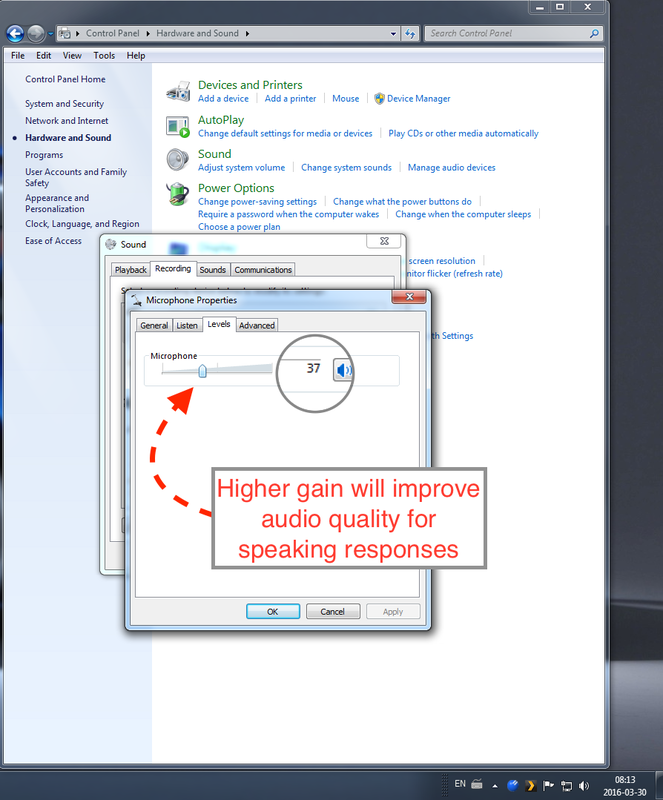 If the slider is set too low, raising it to a higher gain will improve audio quality for speaking responses. Change the slider to a higher gain then press OK.
7. From the Sound Panel, speak normally into the microphone and note whether or not the green input graph shows that it is registering your input. If it is not, double-click the microphone and raise the gain until it does so. The microphone gain should now be set properly to allow students to record their speaking responses. Close the Control Panel when done making changes. If you are testing in an environment where modern browsers are not available, please read these steps for Flash support. There are some additional options in the Flash Player Settings that can be adjusted.